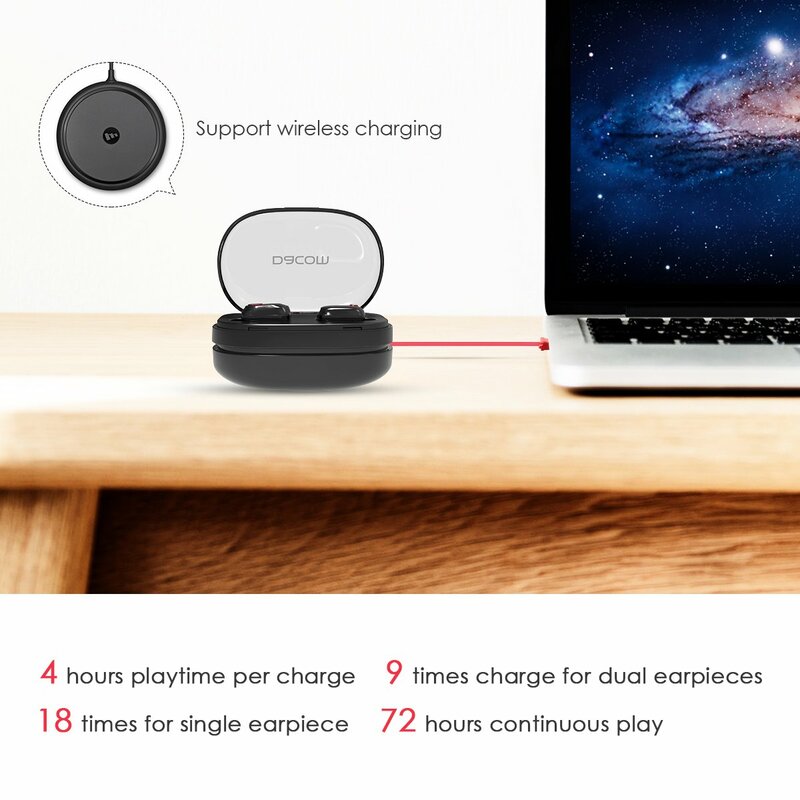 Wireless Charging for All-Day Use------We present the Dacom true wireless earbuds especially designed for all day use with dual charging solution,the Bluetooth earbuds comes with a portable charging case for storage and wireless charging,Besides, you can also use the invisible USB cable, delivering extreme simplicity and convenience.You never have to worry about running out of battery on your wireless headphone. Decent Sound Quality-----Angellight can be clear stereo sound, with audio data transmitted to both earphones. Angellight utilizes the latest chip which immerses you in your music.Give you all the experience you expect from standard Bluetooth earbuds, with the bonus of no wires. Completely Wire-free------Angellight is true wireless. There is no any cord connecting them to your music device.We understand the moment you can't stand strings or plastic arches always rest on your shoulders.So Angellight is perfect for gym,driving, running. Mini&Lightweight Design------You will feel very secure. Angellight is lightweight and small, and they won’t fall out every time you move too quickly. Hands-free Calling-------With the built-in mic you can easily take calls on the go.